Posted 23rd September 2018. Last updated 21st November 2018. BEST and Bermuda College will host a series of lectures aimed at providing discussion on environmental issues. 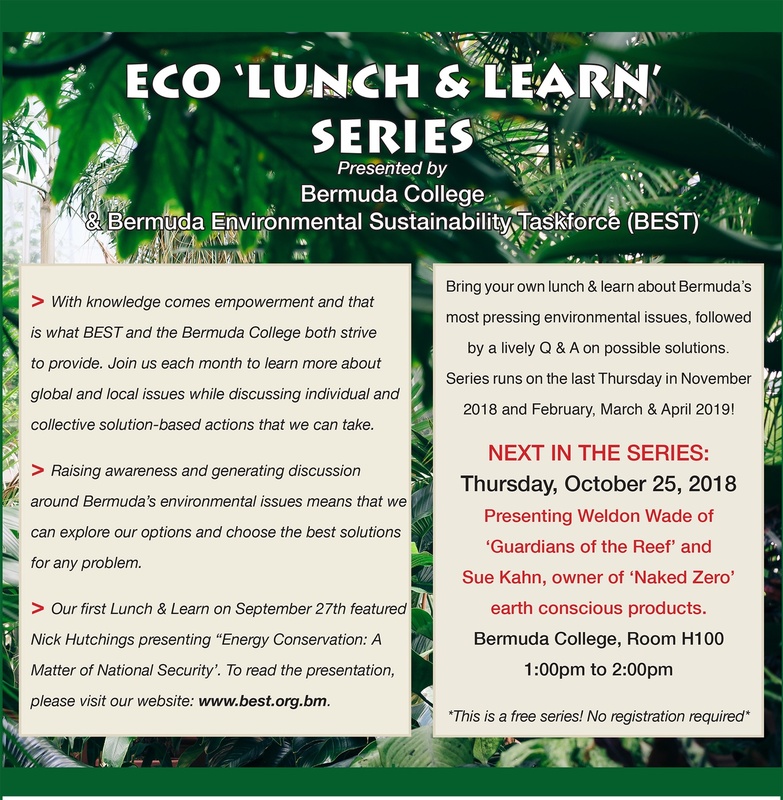 A spokesperson said, “On the last Thursday of every month from September 2018 through April, 2019, BEST and Bermuda College will host a series of lectures aimed at providing discussion on the environmental issues affecting us today. Discussions will also address what individual and collective solution-based actions we can take to make a difference. Kim Smith, Executive Director of BEST explained, “Sharing information on environmental issues may be the best way to help individuals see the opportunities to participate and make a contribution. “Bermuda College is an ideal meeting spot for the community to come and learn about environmental issues in a comfortable setting that is hassle free in terms of parking and access.